Hi there, my darlings! Isn't it odd that I'm posting on a Sunday?! I don't know about you but it certainly seems odd to me! 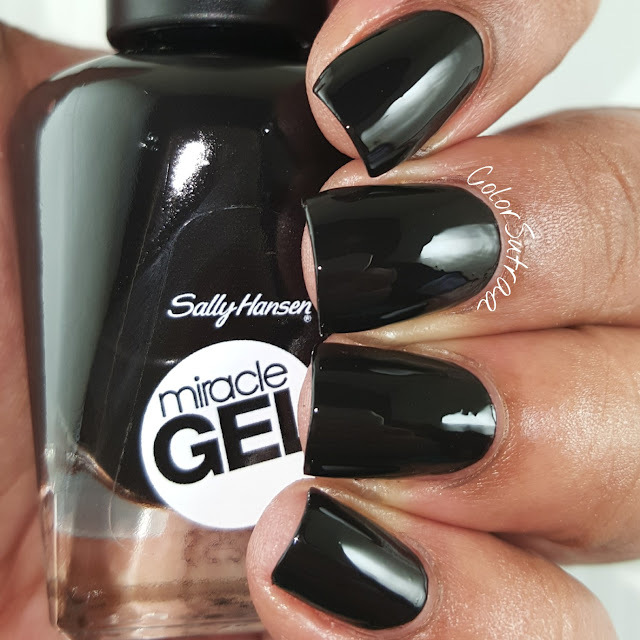 But, you see, these Sally Hansen Miracle Gel samples arrived to me just in the nick of time for me to create and post a little Halloween nail art on Instagram but I didn't have a chance to get a full post up. Hence, the odd Sunday night post! Anyways, ready to see two perfect polishes for Halloween?! Blacky-O is a jet black creme. This Miracle Gel formula was absolutely divine and applied almost like a crelly plus the drying time was super quick--the swatches below show 2 thin coats, topped with Sally Hansen's Miracle Gel topcoat. 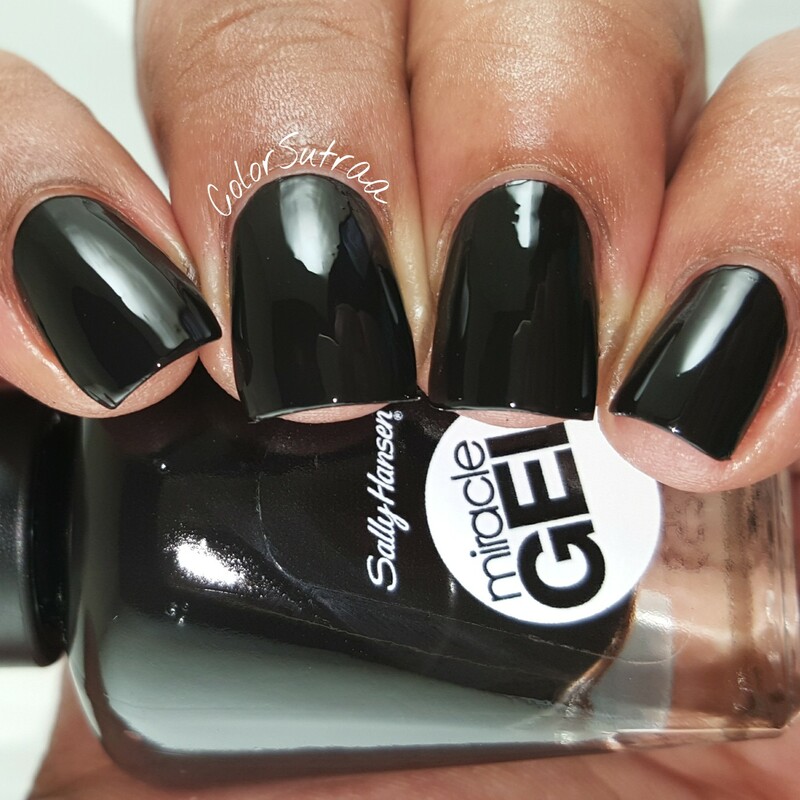 I can see that this black is going to be my new go-to black for nail art! 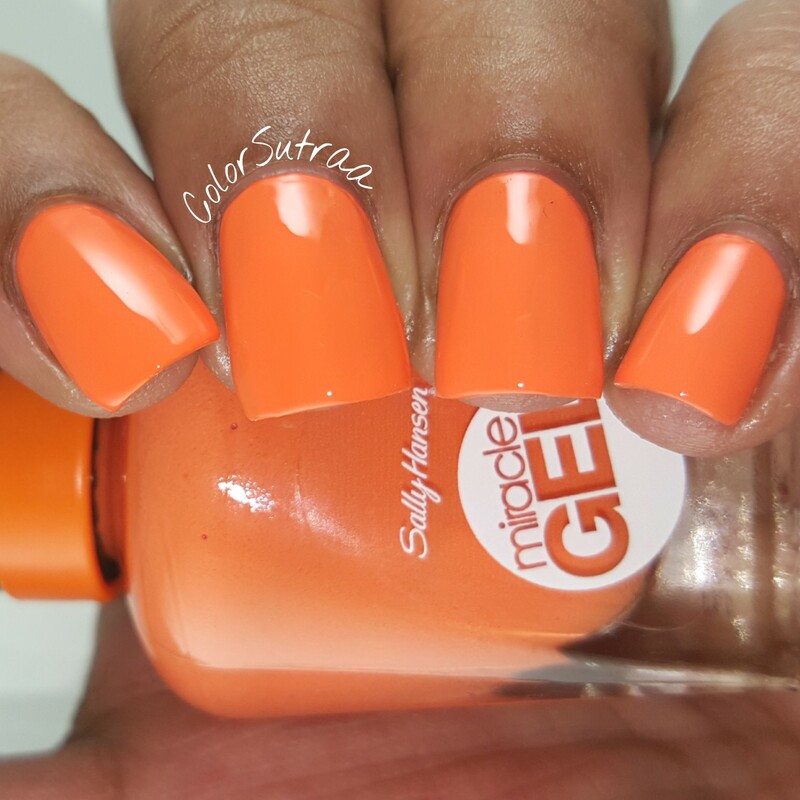 Electra-cute is a bright orange creme. 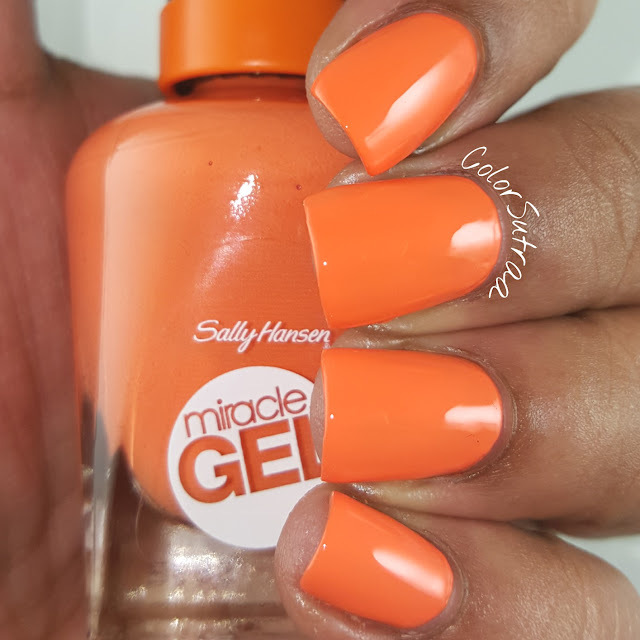 The formula of this one was a bit of a challenge in that it was quite streaky and needed 3 coats to level out to my satisfaction--the swatches below show 3 thin coats, topped with Sally Hansen's Miracle Gel topcoat. One thing it does have going for it though--the drying time was just as fabulous as Blacky-O! And here's the nail art look I created for Halloween! As you can see on my middle finger, Blacky-O does stamp but imperfectly. 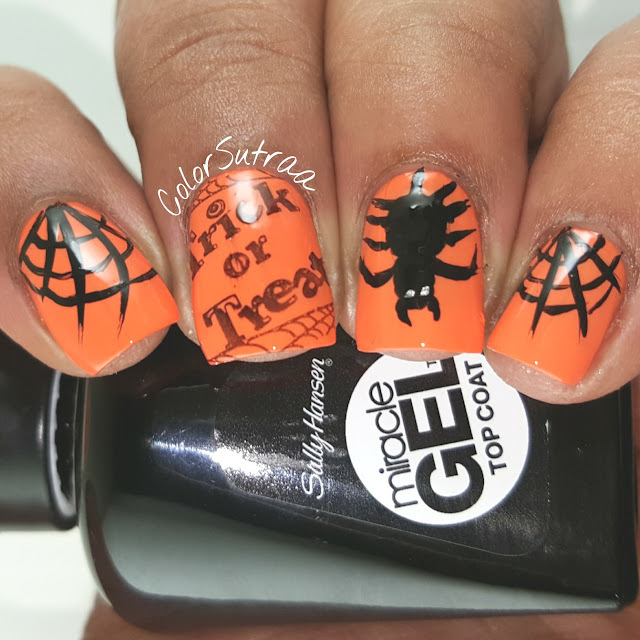 The cobwebs and my weird little spider was created with a black striping polish and a dotting tool.